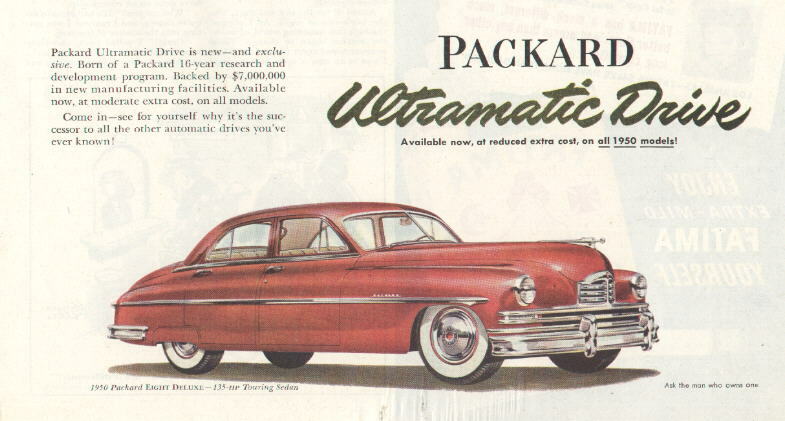 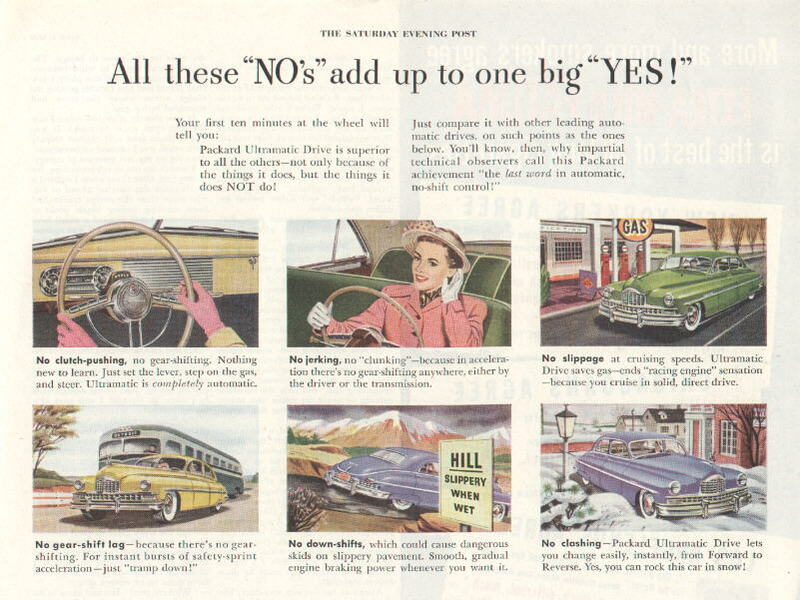 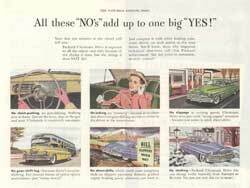 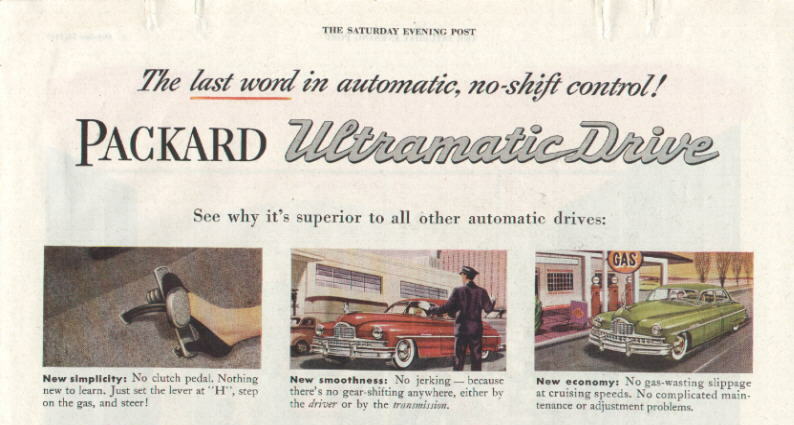 In this section are a series of advertisements for the Packard Ultramatic beginning in 1949. 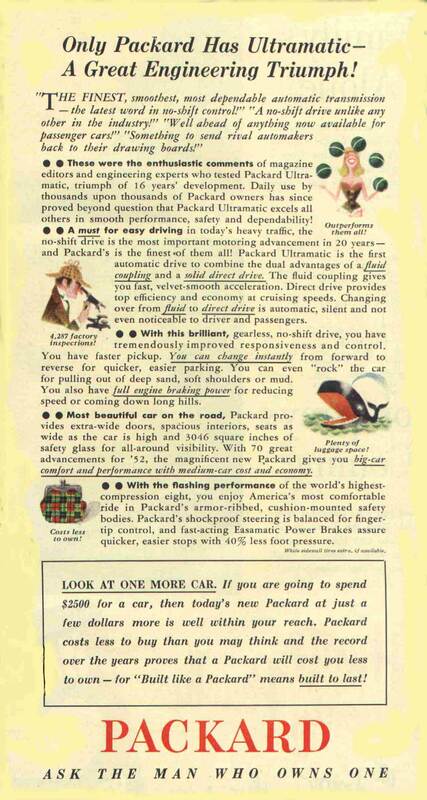 Through the marketing of the transmission, one can see where the Packard design was different than the competition. 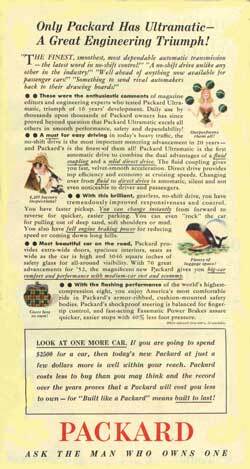 The lock-out converter permitting overdrive at 20 mph was a marvel in it's time and wasn't available again from Detroit till the 1980's.